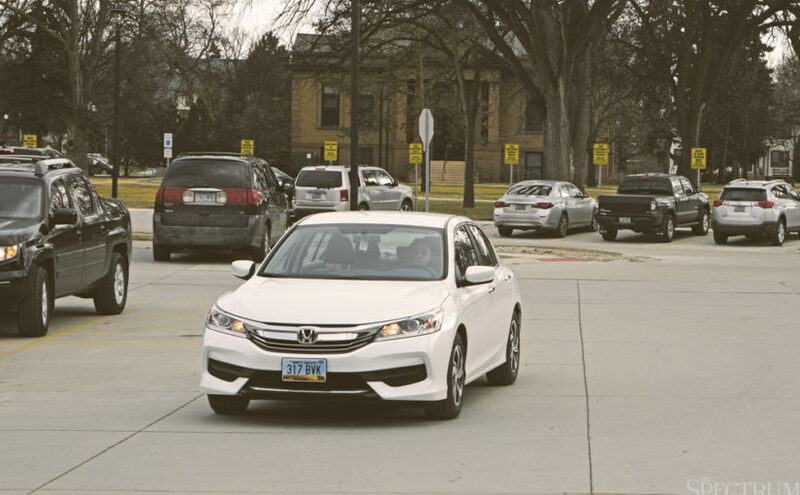 North Dakota State University students are developing security technology in the self-driving car industry. For the past four months six undergraduate students have been working to make advances in cyber security to ensure the safety of these cars. Cyber security would help increase the safety and performance of self-driving cars by detecting and preventing security breach attempts before the car is compromised. In addition to security capabilities, the research group is looking to determine the level of trust cars should have in information provided by other cars. The project’s launch followed a discussion of the U.S. Department of Transportation on regulations and communications between self-driving cars. Properly developed self-driving cars can coordinate their actions to travel closer together, at faster speeds and are able to determine how to best proceed through intersections. These technologies which can decrease travel time, reduce fuel consumption and increase safety, could be problematic if left unsecured. “Imagine a car telling every other car on a busy interstate that it’s breaking to a full stop right in front of them. This could create a major traffic accident,” said Straub. The researchers’ focus is on the cyber security system on different levels, from the individual car to a large scale city wide coordination. The students involved in the project are Jordan Hartman, Mitchell Schumacher, Brett Yaniero, Abdullah Almosalami, John McMillian and Kelvin Boatey. Hartman is developing an overarching intrusion detection system framework while the other individuals work on various area of intrusion detection cyber security for self-driving cars. For all members, the project has been a learning experience in an area unfamiliar to the general population. “I saw this as a great opportunity to expand my knowledge. I thought branching out to gain some valuable knowledge in the security side of things could prove very valuable,” Hartman said. If properly developed, the self-driving car industry has potential to revolutionize travel. “Machine learning will be key in delving into an unknown world,” said Almosalami.